President Muhammadu Buhari on Thursday at the Aso Rock Presidential Villa inaugurated the Armed Forces Council. 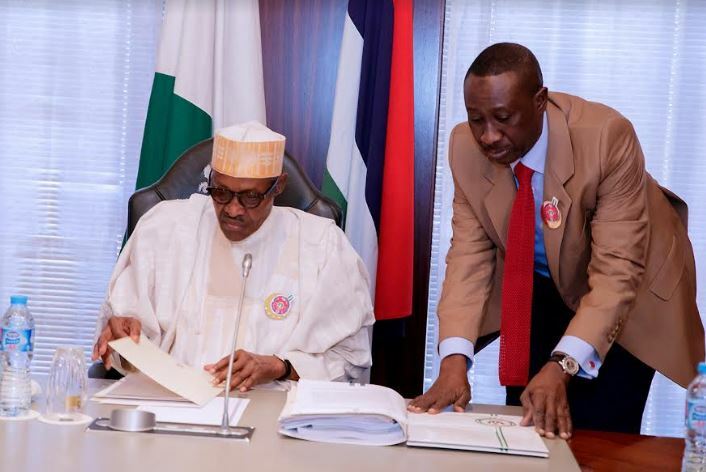 The inauguration was done as the president returned to his main office. 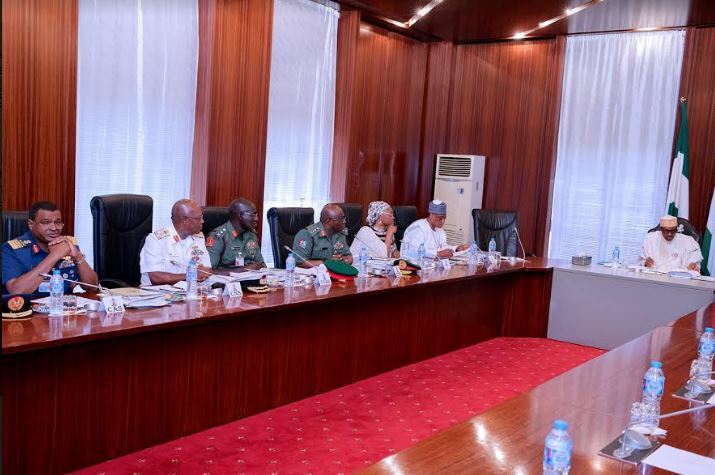 A statement by Tukur Gusau, Public Relations Officer to the Minister of Defence, Mansur Dan-Ali, said the last Armed Forces Council meeting was held on July 17, 2014. He said there was the need to convene the council meeting in order to consider matters of great concern to the Armed Forces. 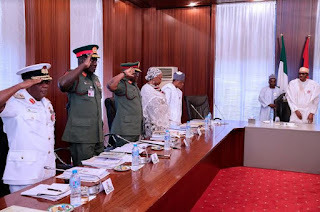 Gusau listed the matters considered for inaugurating the council as including the ratifications of the National Defence Policy 2017 (Revised), Harmonized Terms and Conditions of Service Officers 2017 (Revised) and Rstricted Harmonized Terms and Condition of Service Soldiers/Ratings/Armen 2017 (Revised). 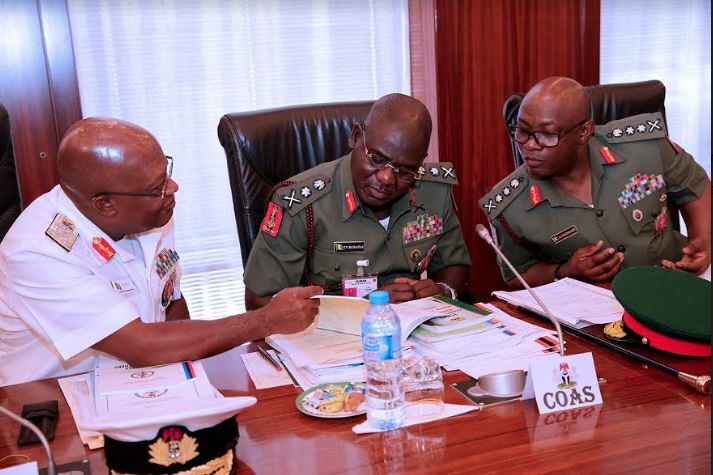 “It would also help to enhance welfare, command, discipline and administration of the Armed Forces as well as policy framework governing the conduct of security and defence in Nigeri’, the officer added. 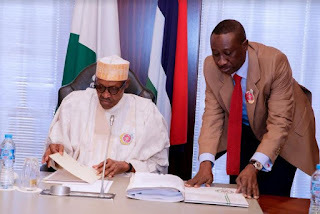 Prior to his return to his main office today, Buhari had been working from another because the former was “infested by rodents while he was away on medical vacation”, according to the presidency. DAILY POST reports that the Armed Forces Council, established by CAP A20 of Laws of the Federation of Nigeria and Section 4 of the Armed Forces Act is to be responsible, under the general authority of the president, for command, discipline and administration of and for all other matters related to the Armed Forces.